Hello, we have some news. 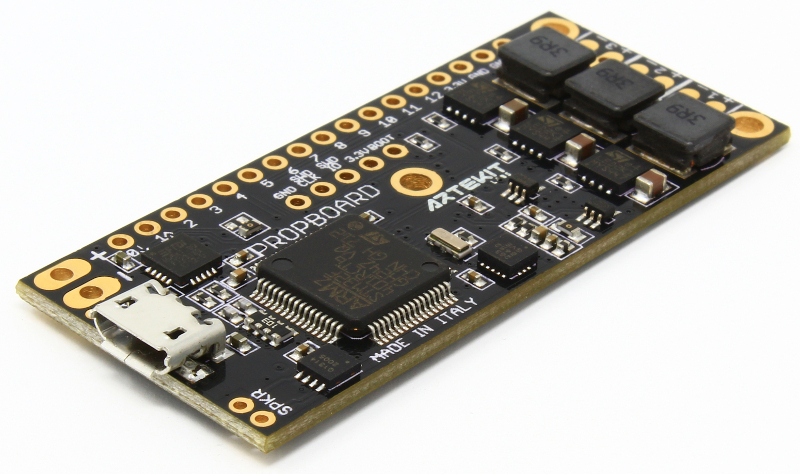 We are officially announcing the availability of the PropBoard! As you may know, we have announced the PropBoard some months ago, then it went through a BETA test period, and now is officially on sale! 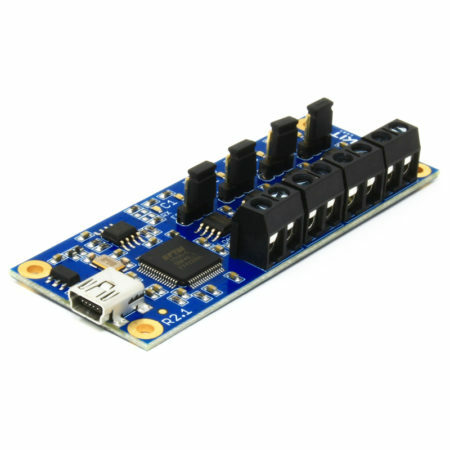 In case you missed it, the PropBoard is an unique development board specially designed for creating electronic props (yes, Lightsabers!). It can be programmed from the Arduino IDE and it comes with a simple but powerful and well documented API. 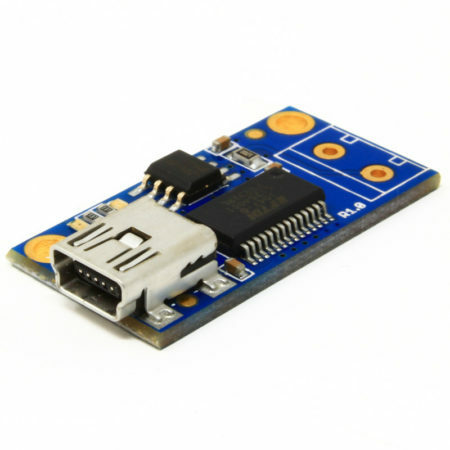 The PropBoard features a Cortex M4 MCU (STM32F401RCT6) running at 84 MHz, with 256KB of flash and 64KB of RAM. 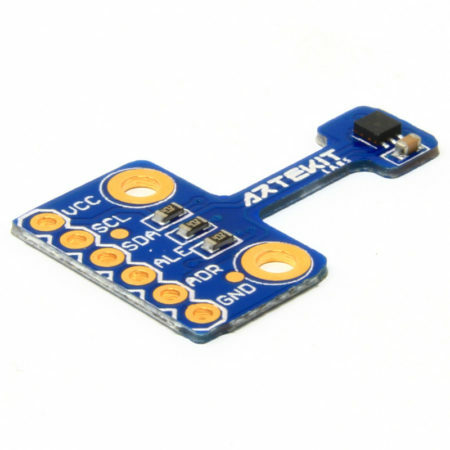 It has 3 high-brightness LED drivers at maximum 1A, a micro SD slot, digital audio through I2S, including codec and 2.9W Class-D amplifier, an accelerometer, on-board FTDI and a micro USB connector. 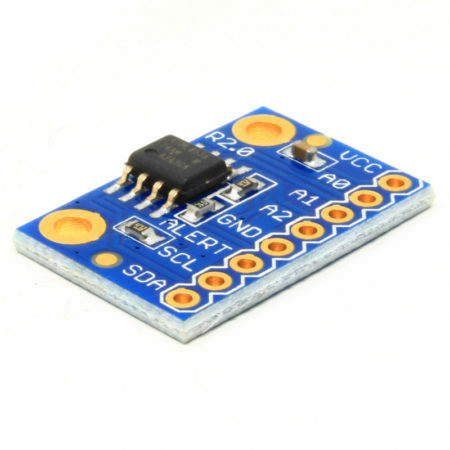 Supports a wide power supply range: from 3.7V to 5V and from 5.5V up to 12V, switchable by a simple hardware hack. 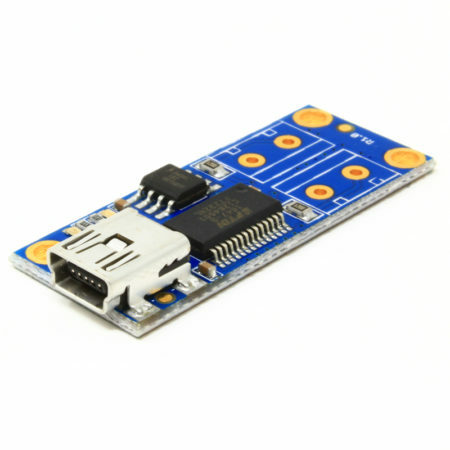 Plus 13 pins including various GPIO, I2S, SPI, an extra UART, ADC, PWM, interrupts, all compatible with the Arduino ecosystem you are used to work with. All open source: schematics, eagle files and core source files are available. Check the product page for more info and specs. We keep updating the software and we plan to add more tutorials, and we are accepting suggestions and feature requests. So remember to also visit the dedicated forum for news and updates!